Droplet microfluidics combined with the isothermal circular strand displacement polymerization (ICSDP) represents a powerful new technique to detect both single-stranded DNA and microRNA sequences. The method here described helps in overcoming some drawbacks of the lately introduced droplet polymerase chain reaction (PCR) amplification when implemented in microfluidic devices. 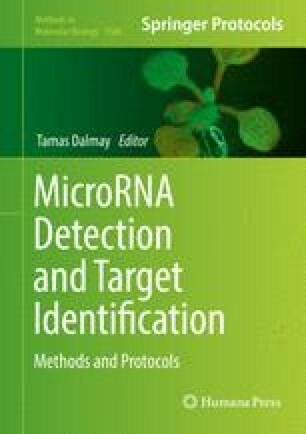 The method also allows the detection of nanoliter droplets of nucleic acids sequences solutions, with a particular attention to microRNA sequences that are detected at the picomolar level. The integration of the ICSDP amplification protocol in droplet microfluidic devices reduces the time of analysis and the amount of sample required. In addition, there is also the possibility to design parallel analyses to be integrated in portable devices. MIUR (PRIN 20093N774P) and Ministry of Health, Italy (n. 098/GR-2009-1596647), are acknowledged for partial financial support.